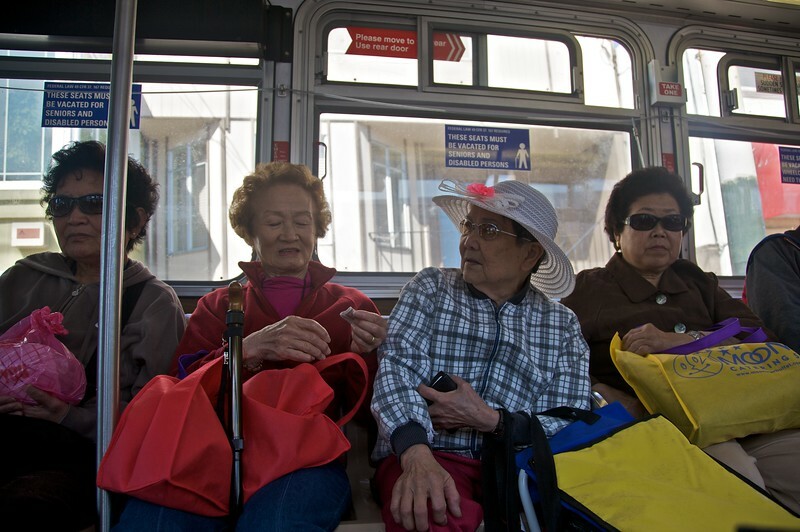 Cable cars, a bay, two famous bridges, a Chinatown, and lots of hills: San Francisco is a particularly photogenic place. Plus one bonus photo of the California State Capitol in Sacramento. 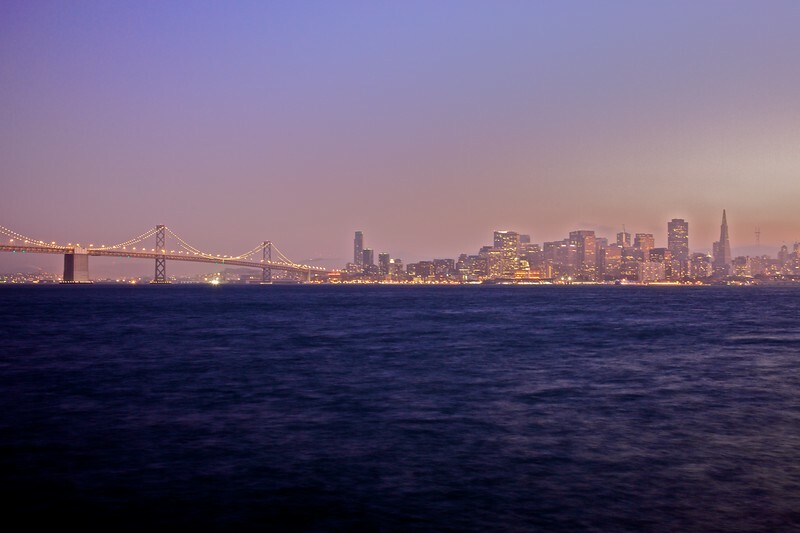 Looking through the Golden Gate Bridge at dusk from the Marin Headlands towards downtown San Francisco. 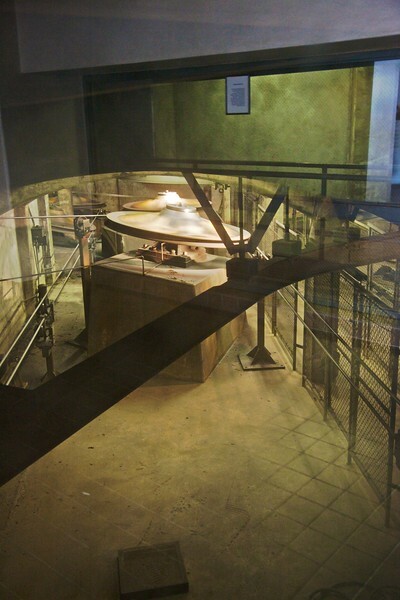 These spindles, underneath the cable car museum in San Francisco, direct the metal cables underneath the streets to pull the cars. 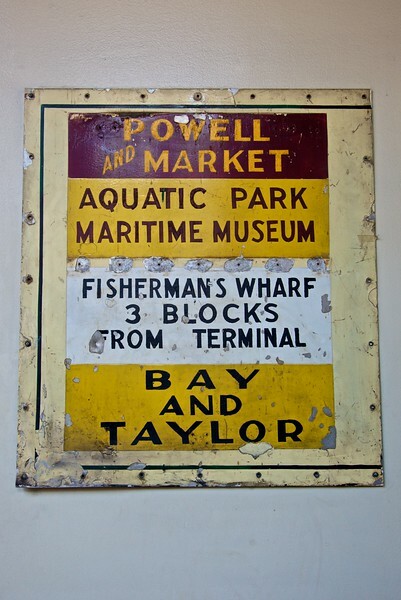 An old enamel sign from a cable car, in the cable car museum in San Francisco. 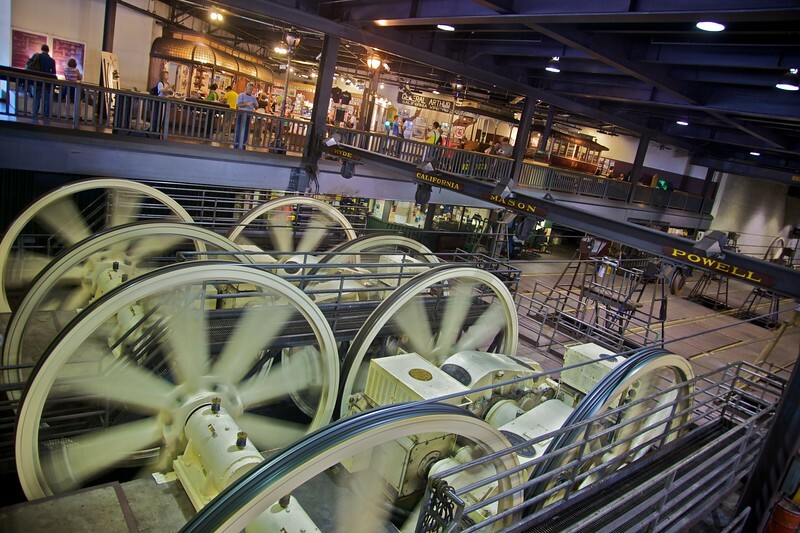 The motors of the San Francisco cable car system can be seen in the cable car museum. 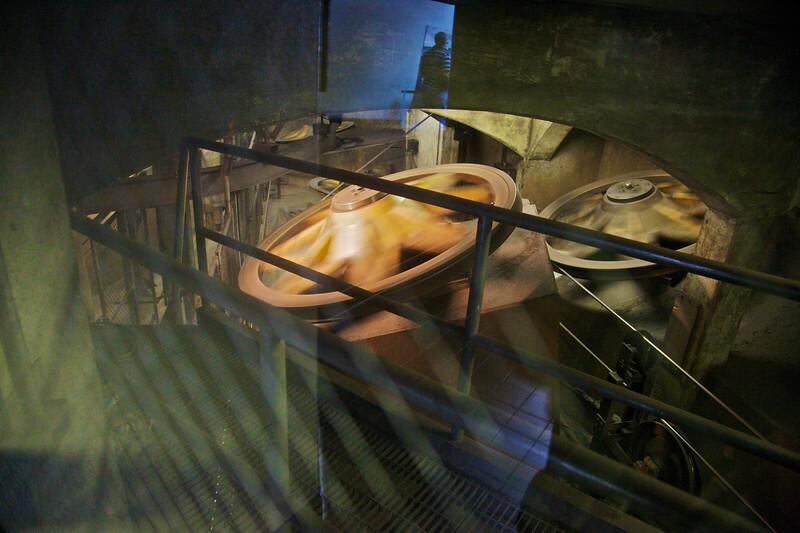 Each cable here controls one of the four lines which are now in operation. The cables move around through trenches underneath the streets, and the cable cars grip on to the cables to move. 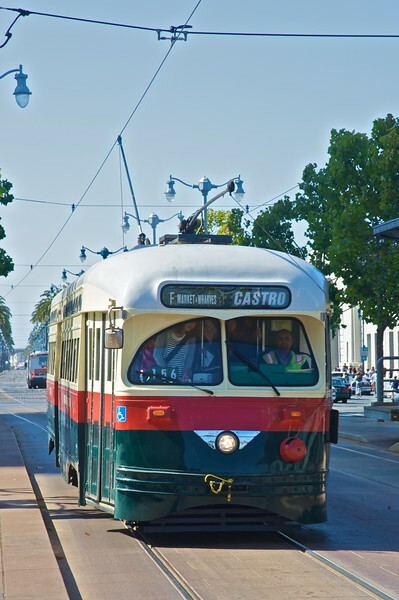 This cable car, now out of service, was owned by one of the numerous former cable car operators in San Francisco. 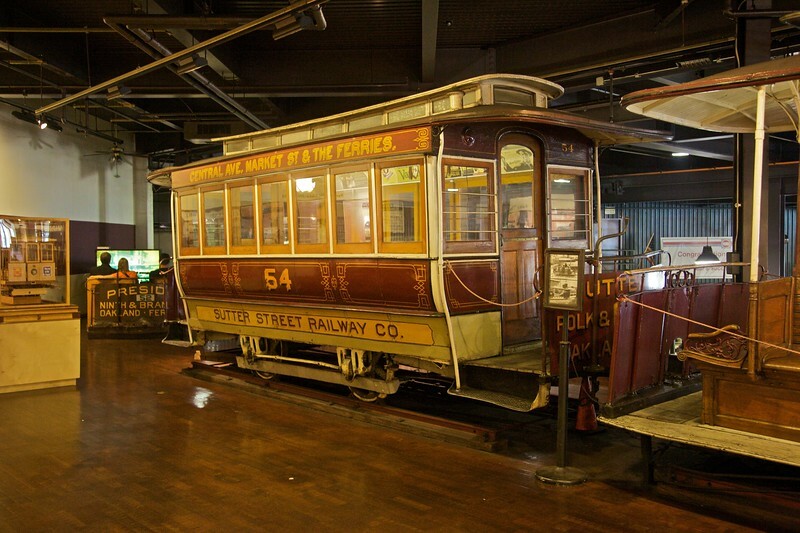 It has been preserved in the cable car museum. 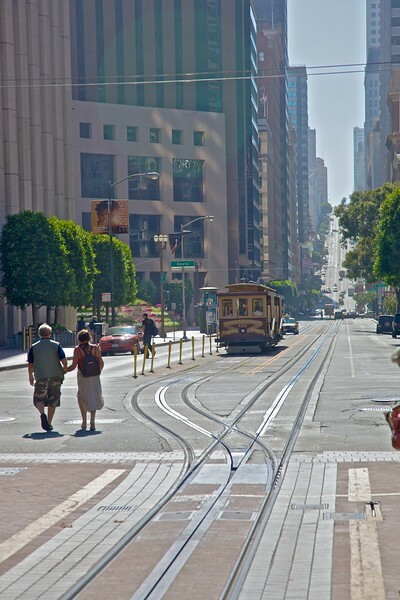 A cable car getting ready to reverse at the end of its line in downtown San Francisco. 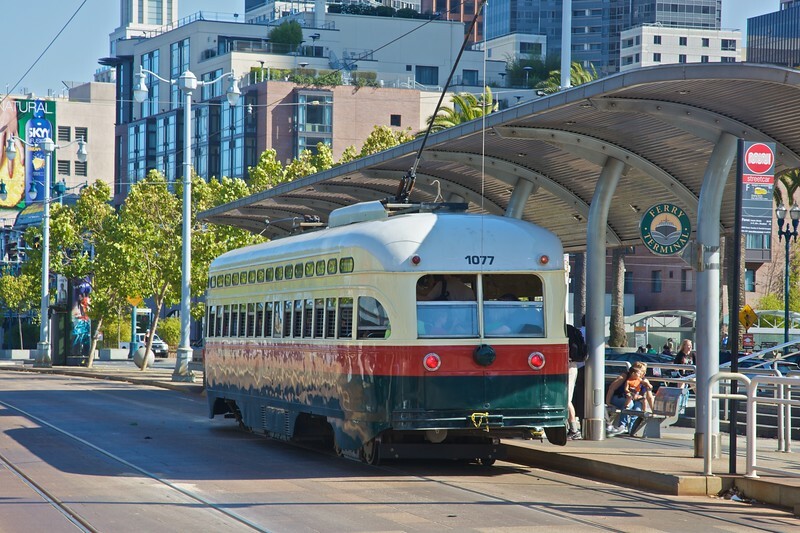 A tram/streetcar in downtown San Francisco. 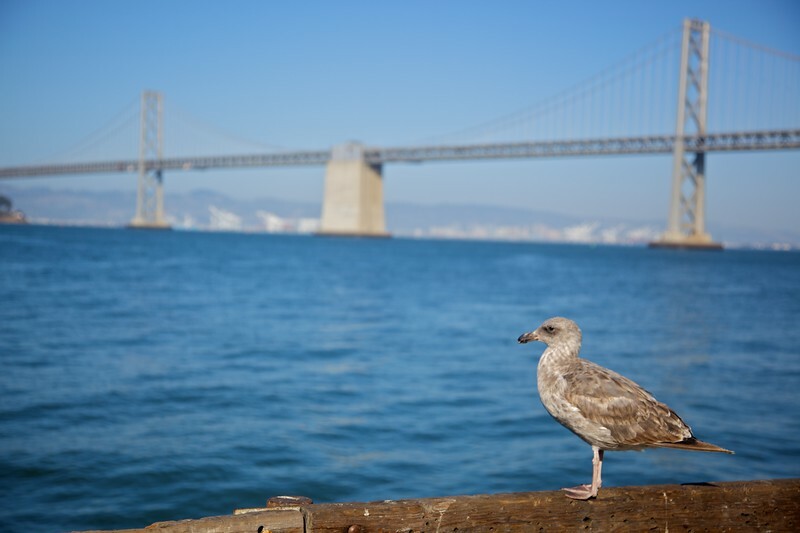 A seagull in front of the Oakland–San Francisco Bay Bridge. 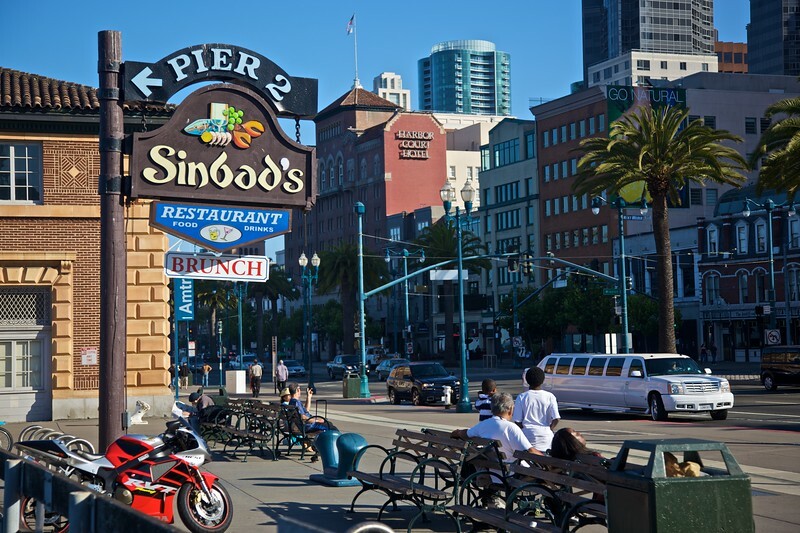 A sign to another restaurant along the piers in San Francisco. 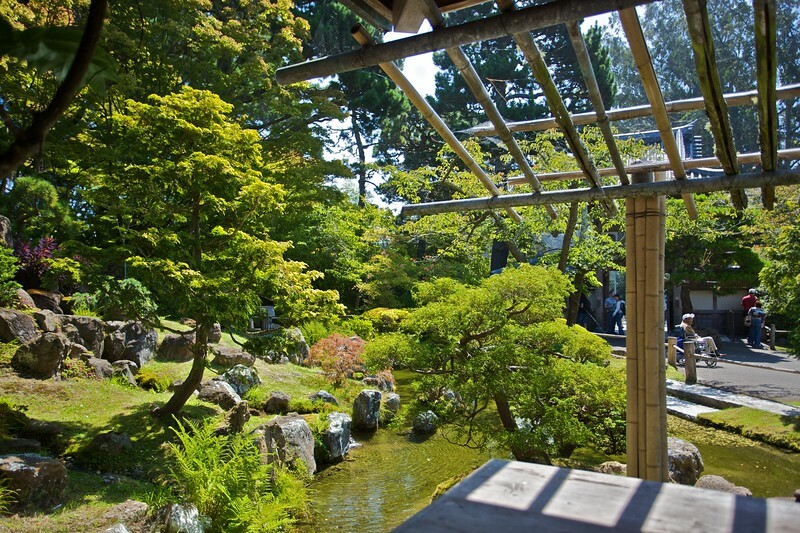 View from the teahouse the Japanese Tea Garden, in the Golden Gate Park in San Francisco. 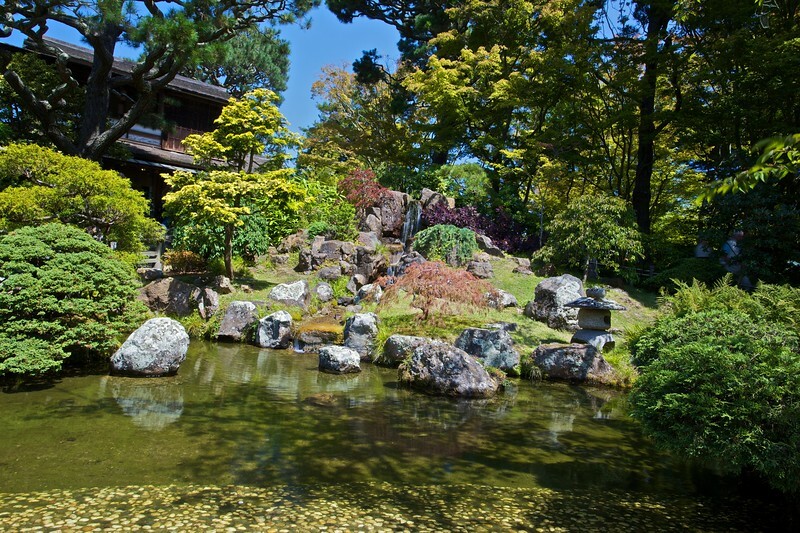 A pond in the Japanese Tea Garden in San Francisco. 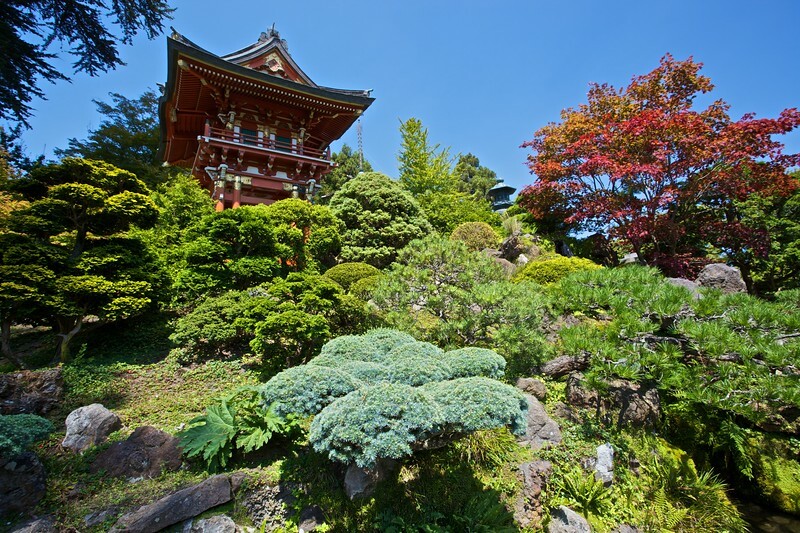 A pagoda in the Japanese Tea Garden in San Francisco. 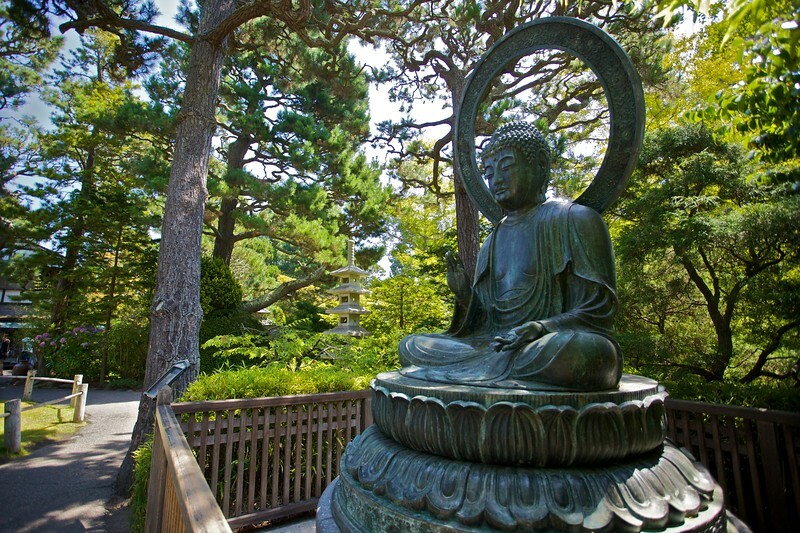 A bronze Buddha in the Japanese Tea Garden in San Francisco. 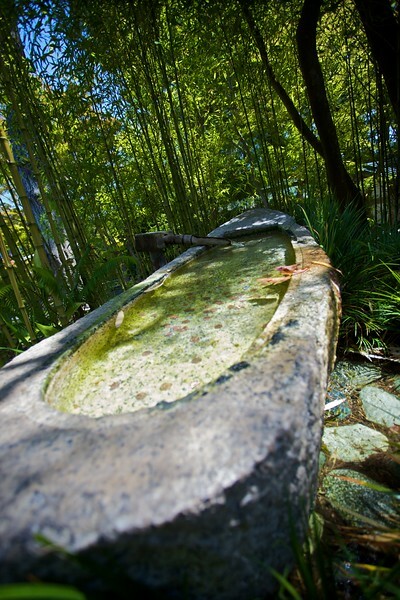 A Japanese fountain in the Japanese Tea Garden in San Francisco. 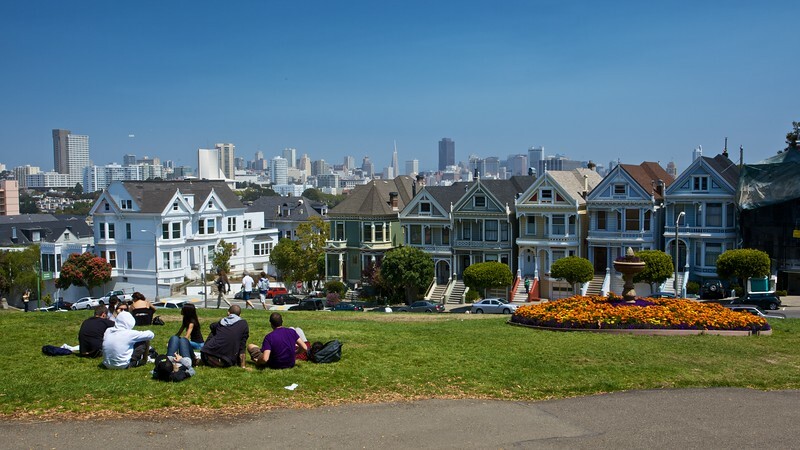 A group of French tourists picnicking in Alamo Square, from where there is an excellent view over the city of San Francisco. 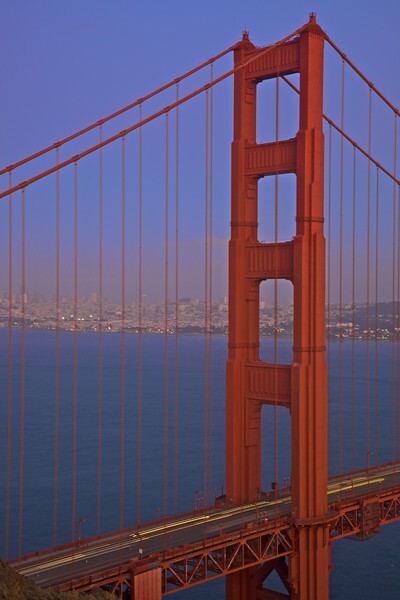 This is one of the most famous postcard views of San Francisco: the houses are even often informally dubbed ‘Postcard Row’. 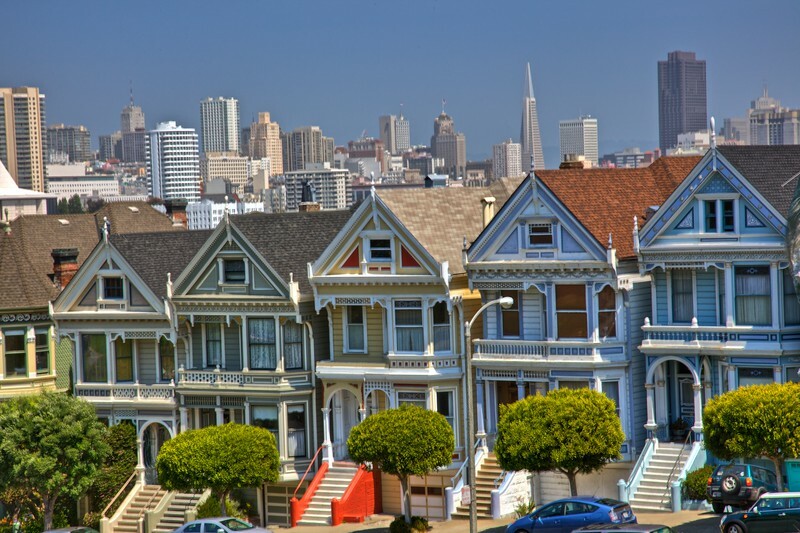 The ‘Painted Ladies’—Victorian houses along Alamo Square which were mercifully spared by the Great Earthquake of 1906—are seen in front of the modern buildings of downtown San Francisco, including the Transamerica Pyramid. 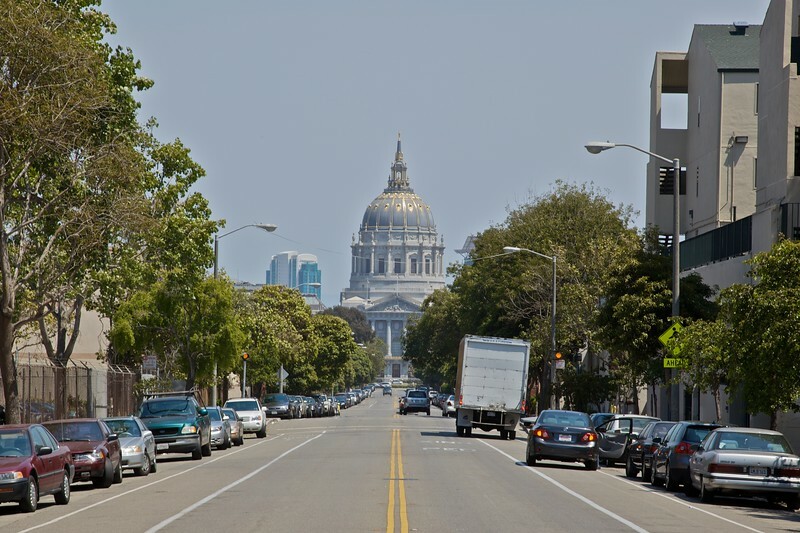 The dome of San Francisco City Hall. 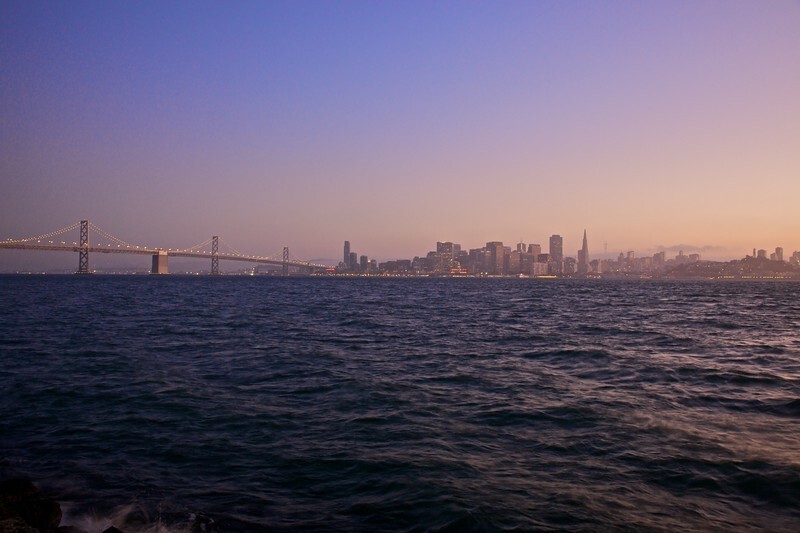 View towards San Francisco from Treasure Island, a manmade island in the San Francisco Bay. 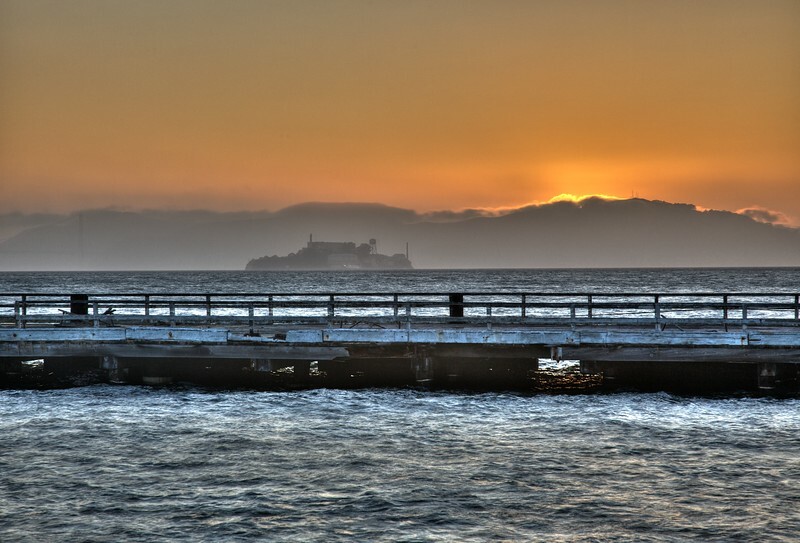 Alcatraz at sunset, as seen from Treasure Island. 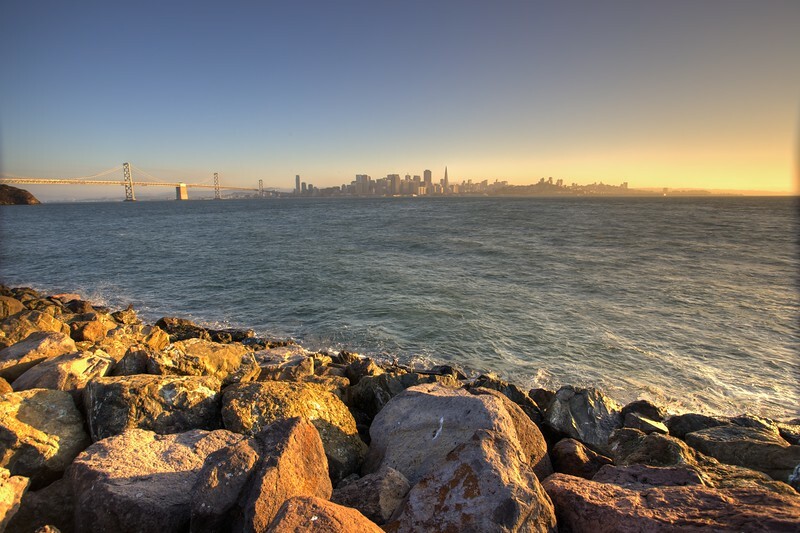 A panorama of the Bay Bridge, downtown San Francisco, and Alcatraz, as seen from Treasure Island. 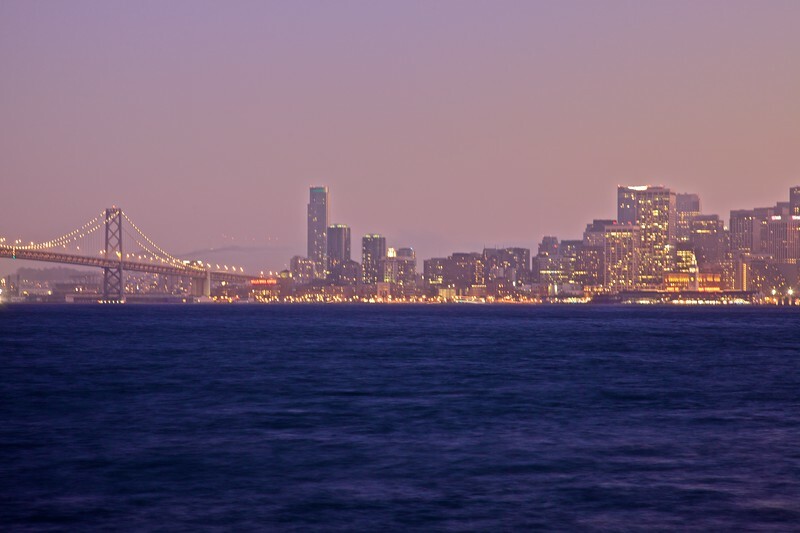 Downtown San Francisco and the Bay Bridge at dusk, as seen from Treasure Island. 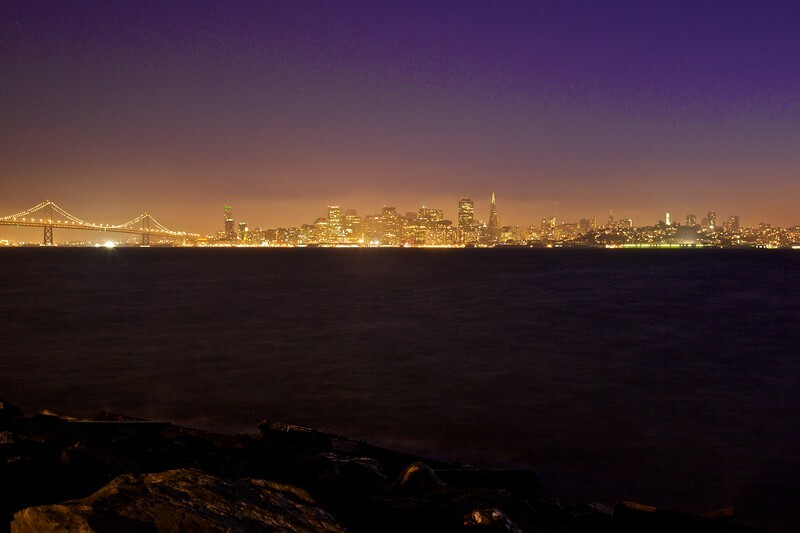 The lights of San Francisco and the Bay Bridge at dusk, as seen from Treasure Island. 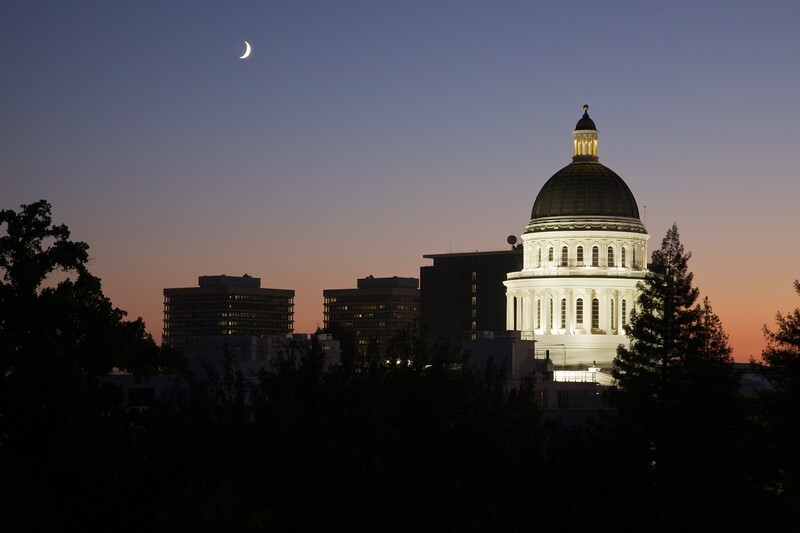 The California State Capitol building in Sacramento at dusk.